First, the Legislature ignored again for another year our pleas to pass mandatory rent escrow to make retaliation against landlords (otherwise known as “the free rent trick”) illegal in MA. Their session came to an end on 7-31-12. They also ignored ALL of our other requests like shortening the Notice to Quit for Non-Payment of Rent from 14 to 3 days like it is even in CA and the Late Fee from 30 to 10 days like it is in most normal states. In short, another year down the drain! Where are the activists landlords to raise some hell? Second, The Appellate Court in Taylor v Beaudry (Taylor II) hinted that “cleaning” may not be deducted from a Security Deposit. (here is the actual quote: “the deductions for cleaning costs incurred as a result of a breach of the lease may not be permitted by the statute which, as relevant here, provides that “no deduction may be made from the security deposit for any purpose other than” “a reasonable amount necessary to repair any damage caused to the dwelling unit by the tenant or any person under the tenant’s control or on the premises with the tenant’s consent, reasonable wear and tear excluded). They should not be making off-hand comments like that! “Cleaning” is something that should be evaluated by the fact-finder to see whether it rises to the level of “damages” deductible from the Security Deposit or just wear and tear not deductible from the Security Deposit. It seems to me these two out of three judges (one of them sharply dissented with the majority opinion) have never cleaned someone else’s toilet or a bathtub not cleaned by the tenant in 3 years or a fridge infested with maggots because the tenant left the apartment with food in the fridge and with no electricity. In many cases cleaning at least in part can and should be deducted from the Security Deposit and the fact we deduct plus minus $10 should not be a reason to triple the WHOLE security deposit. Sometimes damages cannot be estimated 100% accurately and different people can disagree honestly about the amounts. Small differences like that should not be used to triple the whole security deposit like Taylor v Beaudry is encouraging housing court judges to do. In 2009 this same case in a slightly different incarnation was in front of the Appellate Court again and I thought then that they made an error of law by declaring that ANY violation of G.L. c. 186, § 15B(4)(iii) will result in the tripling of the whole security deposit . I published a letter that I had written to the Appellate Court asking them to correct that error because G.L. c. 186, § 15B(4)(iii) should only result in tripling the whole security deposit when the landlord does not return whatever portion he has to return within 30 days. It only applies to the 30-day rule. Duh! The Legislature did not intend the Security Deposit to be tripled for not having it signed under the pains and penalties of perjury, for example. On the record before us, the damages award for the tenant constitutes an error of law. I believe that to allow the damages judgment to stand, despite the absence of a cross appeal, would amount to a miscarriage of justice. I am not prepared to ignore our role as an appellate tribunal to correct, where necessary, an entirely erroneous judgment that so unfairly punishes a party as to cause justice to miscarry…. The tenant failed to move out and surrender possession of the leased premises on August 31, 2007, as he was obliged to do. 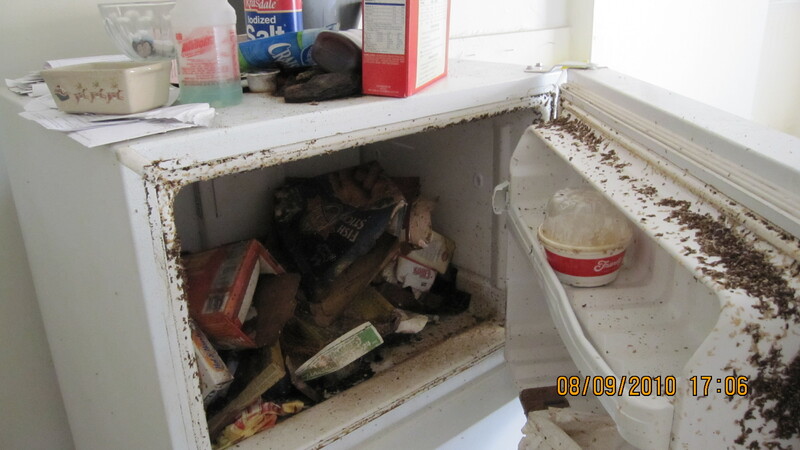 As of September 1, the tenant had not removed his belongings from the premises. His vehicle remained parked in close vicinity to the building. The tenant did not return the keys to the landlord. The judge found there was “no evidence of the tenant ever having requested the return of his security deposit in August 2007 or September 2007 as he might have done simultaneously with the removal of all of his belongings and the return of his house keys.” Nor did he leave the premises in good condition, exclusive of ordinary wear and tear…. A residential landlord’s failure to comply with the specific documentary and accounting requirements, mandated by § 15B(4)(iii) and (6)(b ), does not, in and of itself, constitute an act on which treble damages may be based under § 15B(7)… Admittedly, the landlord violated the Act by providing the tenant with an unsworn-to list of the damage to the premises, rather than one that was attested-to and signed under the penalties of perjury…. And here are some comments from the Dissenting Judge Notes: ” The tenant’s conversant knowledge of the Act was evident in his successful pro se prosecution of a prior appeal in Taylor v. Burke, 69 Mass.App.Ct. 77 (2007), involving the intricacies of the Act’s custodial requirements for a security deposit. The tenant had there sued a different landlord, again seeking treble damages under the Act…..
Bravo Judge Brown and Bravo Judge Sullivan for trying to be balanced and moderate in this very anti-landlord climate in MA that is hurting not only tens of thousands of small property owners in MA but all tax-payers of MA. Why is that so hard to understand by some SJC, some appellate court judges and by most Legislators? Unfortunately your efforts and mine and those of many other landlords were not enough to slow down the anti-landlord machine in MA. In summary, decisions like Taylor I and II have turned the collecting of a Security Deposit into a trap for the landlords in MA, there is no doubt about that. Most landlords do not know what it means to sign a letter under the pains and penalties of perjury. Most of us think (including me as of 3-4 years ago) that all we need to do is be honest about what we deduct or risk being sent to jail. Being an honest landlord and not injuring tenants is apparently not enough in MA.With Taylor I and Taylor II landlords will have to pay the tenant 3 times the whole security deposit plus their attorney fees only because the receipt they gave to the tenant was not signed under the pains and penalties of perjury EVEN IF THE RECEIPT WAS 100% accurate… which leads me to my second point as to why Taylor I and Taylor II have made it impossible to collect a Security Deposit in MA – In most cases it is impossible for the receipt to be 100% accurate. We should be allowed to give reasonable estimates as the Legislature intended without having the fear that a quarter of our annual profits will have to be gifted to the tenant. Recently I had a tenant who made 3 cigarette burns into the carpet in an outside porch. I deducted $50 because it is hard to estimate how else to do it. Since the burns were in an outside porch I was not planning to replace the whole carpet. In other words there is some damage but I didn’t want to charge the tenant for the whole carpet since I wasn’t planning to replace it for the next tenant yet I felt that I should charge something for the damage that they caused. After Taylor I and Taylor II if a judge disagreed with the $50 and ruled that maybe that wasn’t reasonable and I should have charged more like $40 I would be in a technical violation of G.L. c. 186, § 15B(4)(iii) and according to Taylor I and Taylor II because of this $10 difference I would have to pay the tenant $3,000 (assuming the rent is $1,000) and $1,500 to his lawyer (which is a typical Attorney Fee in Security Deposit disputes). On top of that according to Taylor I and Taylor II even if I returned timely the $10 to the tenant even before a tenant filed a claim I would still be forced to pay $4,500! That is absurd! That is offensive! That is completely ridiculous! It is turning the Security Deposit Law into a casino-like lottery game where the tenant and their lawyer have nothing to lose and it is not consistent with Common Sense and with the Intent of the Legislature. Keep up this nasty anti-landlord attitude in MA and you will see more foreclosures and devastation in the Housing Markets and the MA economy in general. Then don’t act surprised that you have low tax revenues and you have to lay off teachers, police officers and firefighters. Ignorance is not bliss. It has consequences. Being maybe last among industrialized nations in math and logic has consequences because those young kids one day grow up to become our Appellate Court and SJC judges and some of them seem to lack basic skills in logic and that has consequences that we all pay for. We want to have respect for the Judiciary but how can we? John C. TAYLOR vs. J.P. BEAUDRY. April 14, 2011. – July 9, 2012. Landlord and Tenant, Security deposit. Collateral Estoppel. Estoppel. CIVIL ACTION commenced in the Northeast Division of the Housing Court Department on October 16, 2007. After review by this court, the case was heard by Timothy F. Sullivan, J., and a motion for reconsideration was also heard by him. John C. Taylor, pro se. Present: Kantrowitz, Brown, & Rubin, JJ. This case comes to us from the Housing Court after remand in Taylor v. Beaudry, 75 Mass.App.Ct. 411 (2009) (Taylor I ). The only issue before us is whether the judge properly calculated damages and costs under G.L. c. 186, § 15B(7). We conclude that, because of the preclusive effect of an earlier judgment in the District Court, the case must be remanded for judgment in a different amount, and that the plaintiff is entitled to costs under the statute. I. Background. The tenant in this case, John Taylor, rented an apartment in Lowell in mid-November, 2003. The tenant paid the landlord, J.P. Beaudry, a security deposit of $ 1,375. The last lease expired on August 31, 2007. The tenant and the landlord have disputed whether, as the tenant contends, he vacated the premises that day or, as the landlord contends, the tenant did not vacate until the following day. By mail postmarked October 1, 2007, the landlord sent to the tenant a check for $871.67, also dated October 1, together with an undated letter explaining that the check covered the security deposit plus accrued interest of $109.81, minus $613.14 for “damage that cannot be attributed to normal wear and tear” and for cleaning costs incurred as a result of an alleged violation of the lease agreement. It is uncontested that the landlord failed to comply with the terms of G.L. c. 186, § 15B(4)(iii), in that he failed both to sign the list of claimed damages under the pains and penalties of perjury and to provide the required written evidence of the estimated or actual cost of repairing the damage. Further, while we need not decide the issue, the deductions for cleaning costs incurred as a result of a breach of the lease may not be permitted by the statute which, as relevant here, provides that “[n]o deduction may be made from the security deposit for any purpose other than” “a reasonable amount necessary to repair any damage caused to the dwelling unit by the tenant or any person under the tenant’s control or on the premises with the tenant’s consent, reasonable wear and tear excluded.” G.L. c. 186, § 15B(4)(iii), as amended by St.1984, c. 474. In response to a demand by the tenant, the landlord subsequently mailed the tenant the $613.14 of the deposit that he had initially failed to return. The very next day, however, the landlord initiated litigation, bringing suit in the small claims session of the Lowell Division of the District Court Department, seeking additional use and occupancy rent under G.L. c. 186, § 3, based on his claim that the tenant, who had lived in the apartment for almost four years, had vacated it one day late on September 1, 2007. The tenant subsequently filed the complaint in this matter, claiming that the landlord had not returned the deposit within thirty days after the tenancy’s end as required by G.L. c. 186, § 15B(6)(e ), and that, having failed to follow the procedures set out in c. 186, § 15B(4)(iii), the landlord was not entitled to make any deductions from the deposit. See G.L. c. 186, § 15B(6)(b ). Accordingly, the tenant sought a judgment for three times the total amount of the deposit, plus interest, costs, and reasonable attorney’s fees, pursuant to G.L. c. 186, § 15B(7). The landlord sought dismissal on the ground that he had paid the deposit back in full in response to the tenant’s demand. In Taylor I we held that the cause of action under G.L. c. 186, § 15B(7), for failure to return a security deposit to a tenant as required by § 15B(6)(e ) arises when the landlord “fails to return to the tenant the security deposit … within thirty days after termination of the tenancy,” and that a subsequent, late payment of the security deposit by the landlord in response to a demand by the tenant does not entitle the landlord to dismissal of the tenant’s complaint. 75 Mass.App.Ct. at 415-416, quoting from G.L. c. 186, § 15B(6)(e ). [FN1] We also concluded that the landlord had not complied with § 15(B)(4)(iii), and that he was therefore not entitled to retain any part of the deposit, ibid., and we remanded for a calculation of damages and the award of costs pursuant to the statute. The Supreme Judicial Court denied further appellate review. See Taylor v. Beaudry, 455 Mass. 1108 (2009). II. Remand. On remand, the first issue the judge considered was what day the tenant vacated the premises. The judge initially found that the tenant remained in possession of the premises beyond the date of the expiration of his lease (August 31, 2007) and remained in possession of the premises at least until September 1, 2007, that the landlord’s check for $871.67 was mailed on October 1, 2007, thirty days later, and that it was received by the tenant on October 2, 2007. The judge concluded that “a security deposit is properly ‘returned’ within the thirty days required by the statute if the landlord deposits in the mail within thirty days a check covering the amount of the deposit.” On the basis of this conclusion, the judge’s order trebled only the amount that he concluded was wrongly withheld, $613.14. The judge also deducted use and occupancy rent for September 1, 2007, under G.L. c. 186, § 3, which establishes liability for rent from “tenants at sufferance,” to which he also added five percent interest. In response to a motion for reconsideration, however, the judge vacated his award of use and occupancy rent for the premises on September 1, 2007, stating “the court finds that the landlord had already adjudicated the claim in Lowell District Court (Case No. 07-SC-2907) seeking one day’s rent for September 1, [2007,] and that after a Small Claims trial, the court found for the tenant on the landlord’s claim. Under the doctrine of res judicata, the landlord is not entitled to such an award from this court, and the tenant’s Motion for Reconsideration is allowed as to said claim.” Although the tenant argued that issue preclusion principles also barred the landlord’s argument that the tenant had not vacated until September 1, 2007–the basis for the claim that $871.67 of the security deposit had been returned within thirty days of the end of the tenancy–the judge left his damages award otherwise undisturbed. The tenant filed this appeal. The landlord has not cross-appealed, and, indeed, has declined to file a brief or otherwise participate in this litigation. III. Discussion. In this appeal, the tenant argues that the judge’s finding that the tenant did not vacate the premises until September 1, 2007, the finding upon which the judge’s conclusion is based that the check for $871.67 was mailed by the landlord within thirty days of the termination of the tenancy, is barred by principles of collateral estoppel. He is correct. On October 11, 2007, after receiving the tenant’s letter, and before the tenant brought this action, the landlord initiated litigation in the small claims session of the Lowell District Court seeking additional rent under G.L. c. 186, § 3. On December 18, 2007, that court issued judgment in favor of the tenant. In reaching the conclusion that the tenant was not on September 1, 2007, a “tenant at sufferance” under G.L. c. 186, § 3, the judge in the Lowell District Court necessarily decided that the tenant vacated the premises on or before August 31, 2007. Under basic principles of collateral estoppel, the landlord cannot relitigate that question in this Housing Court action. See Martin v. Ring, 401 Mass. 59, 61 (1987). Consequently, on reconsideration the judge should not only have vacated the award of rent for that one day under G.L. c. 186, § 3, but, as the tenant asked, the judge should also have vacated his finding that the tenant occupied the premises on September 1, 2007, and his conclusion, following from that finding, that the $871.67 portion of the security deposit was “return[ed]” within thirty days of the termination of the tenancy. The case must thus be remanded for entry of an additional damages award of $871.67 trebled plus interest, less the amount initially received by the tenant. The tenant also seeks reversal of that portion of the judge’s order denying costs. The tenant is entitled to costs under the plain language of G.L. c. 186, § 15B(7). As he points out, had he chosen to seek damages under the small claims procedure, he would have been required to give up his right to appeal; it was the landlord who first sought damages in the small claims session and not the tenant. Whatever the scope of the discretion provided by G.L. c. 218, § 25–and it has not been cited in an appellate decision since 1924–it cannot be read in these circumstances to allow the trial judge to deny the costs specifically provided for by G.L. c. 186. Consequently, the judgment must also be modified on remand to add the tenant’s costs. Nor need we address in any detail the dissent. Its essential quarrel is with our decision in Taylor I, where we declined to dismiss the award of damages in favor of the tenant and held that under the statute a tenant who does not receive his security deposit on time may seek treble damages even after receiving it late. The statute states that if a landlord does not return a security deposit within thirty days of the termination of tenancy, the aggrieved tenant is entitled to treble damages, costs, and attorney’s fees. See G.L. c. 186, § 15B(6)(e ), (7). [FN6] In Taylor I we concluded that by its “unambiguous” language the statute does not require landlords to return security deposits only when threatened with litigation. Taylor I, 75 Mass.App.Ct. at 416. Rather, we said that the statute requires landlords to follow its “clear” terms and return security deposits within thirty days of the termination of tenancy or risk suits like this one for treble damages. See ibid. The strictness of the security deposit statute’s terms is well known; indeed, almost thirty years ago, the Supreme Judicial Court concluded that even “[a] finding of good faith” provided no “basis for an exception to the multiple damages provision of G.L. c. 186, § 15B(7).” Mellor v. Berman, 390 Mass. 275, 283 (1983). Taylor I reflects a conclusion that the Legislature thought the deterrent effect of suits such as this was necessary to ensure all landlords return security deposits on time and in full compliance with the statute. The landlord in this case, for example, could have avoided damages by complying with the statute and returning the security deposit within thirty days–sufficient time in the Legislature’s judgment to examine a vacant apartment and determine if any repair is needed–either in full, or in part, accompanied by proper evidence of damage and of repair costs, if any. See G.L. c. 186, § 15B(4)(iii). The dissent’s conclusion that the result in this case “advances no remedial or deterrent policy” thus amounts to a quarrel with this court’s reading in Taylor I of the Legislature’s judgment. IV. Conclusion. The judgment is affirmed in part and reversed in part. The tenant has requested costs in connection with this appeal. He may submit an application for costs, with supporting documentation, to this court within fourteen days of the date of rescript. See Fabre v. Walton, 441 Mass. 9, 10-11 (2004). The landlord shall have fourteen days thereafter to respond. It is understandable that the landlord, Beaudry, declined to join the present proceeding. He has already gone to some lengths in the Housing Court and before this court in Taylor v. Beaudry, 75 Mass.App.Ct. 411 (2009) (Taylor I ), to oppose the tenant’s claims, and no doubt has incurred considerable expense in doing so. The Act is not designed to run a landlord into the ground in defending against a tenant’s efforts to assert an untenable treble damages claim. Contrary to the Legislature’s intent, the prolonged litigation under the Act here has been to add (not remove) the economic disincentives for the parties to prosecute, or, in this case, defend against a small dollar amount consumer action. “In this court as an appellate tribunal an award of damages must stand unless to make it or to permit it to stand was an abuse of discretion on the part of the court below, amounting to an error of law.” Mirageas v. Massachusetts Bay Transp. Authy., 391 Mass. 815, 822 (1984), quoting from Bartley v. Phillips, 317 Mass. 35, 43 (1944). Findings. a. Tenancy and holdover. The tenant paid a security deposit of $1,375, equal to one month’s rent, to the landlord in November of 2003, in connection with a series of short-term tenancies. The last tenancy commenced on August 1, 2007, and terminated on August 31, 2007, the term having been memorialized in a written lease contract dated July 29, 2007, by and between the parties. The tenant failed to move out and surrender possession of the leased premises on August 31, 2007, as he was obliged to do. As of September 1, the tenant had not removed his belongings from the premises. [FN3] His vehicle remained parked in close vicinity to the building. The tenant did not return the keys to the landlord. The judge found there was “no evidence of the tenant ever having requested the return of his security deposit in August 2007 or September 2007 as he might have done simultaneously with the removal of all of his belongings and the return of his house keys.” Nor did he leave the premises in good condition, exclusive of ordinary wear and tear. Having received the demand on October 10, 2007, the landlord that same day returned to the tenant by mail the deposit remainder, enclosing a $613.14 check, monies that had been withheld due to waste and related repairs. [FN4] The tenant indorsed and deposited the check. This was day thirty-nine (39) from the end of his occupancy. c. Complaint. Six days later, on October 16, 2007, the tenant commenced the underlying action in the Housing Court. He alleged he was owed “$109.81 in interest on the security deposit and last months rent.” [FN5] He requested the judge to treble the $1,375 deposit and the $109.81 interest, and award that sum–$4,754.43–with costs and attorney’s fees. The judge (who later heard the case on remand) originally dismissed the complaint. In Taylor I, supra, this court vacated the dismissal and remanded the case, which led to the hearing and the judge’s findings and ruling summarized herein. Trial judge’s rulings. On remand, the judge ruled the landlord had timely returned the $871.67 deposit monies, doing so by mail on October 1, precisely thirty days from September 1, 2007, the earliest date when the tenant’s occupancy could have ended. As for the $613.14 remainder, the judge ruled the landlord failed timely to return that sum in that he mailed it to the tenant on October 10, 2007, nine days too late. The judge ordered the $613.14 trebled, without deduction, [FN6] and awarded the total to the tenant. The judge declined to award costs. The tenant then lodged this appeal; the landlord has elected not to appear in this round of appellate proceedings. Discussion. 1. The Act. General Laws c. 186, § 15B, amended through St.2004, c. 416, § 1, defines the rights and duties of a residential landlord and tenant, with regard to a deposit pledged by the latter to secure his or her performance under a lease contract (or other agreement). See Hampshire Village Assocs. v. District Ct. of Hampshire, 381 Mass. at 152. The Act combines and ties together detailed regulatory mandates for landlords, with a specialized compensatory damages scheme for aggrieved tenants. Justification for the Act can be drawn from the “unique factual and legal characteristics of the landlord-tenant relationship that justify special statutory treatment inapplicable to other litigants.” Id. at 154, quoting from Lindsey v. Normet, 405 U.S. 56, 72 (1972). In particular, “[b]y limiting the freedom of landlords and tenants to contract in this regard [as to security deposits], the Legislature manifested a concern for the welfare of tenants in residential property who, as a practical matter, are generally in inferior bargaining positions and find traditional avenues of redress relatively useless; i.e., the legal expense of chasing a security deposit would be more than the amount of the deposit” in and of itself. Id. at 152-153, quoting from Goes v. Feldman, 8 Mass.App.Ct. 84, 91 (1979). Tenants may bring an action to enforce the Act’s provisions, but recovery nonetheless hinges on the customary showing that a violation caused the tenant to suffer an injury or loss of money. The instant facts foreclose a claim by the tenant to recover damages under the Act. His contentions otherwise lack merit for the following reasons. The judge had a first-hand view of the presentation of the evidence, assessed its weight and credibility, including the parties’ contradictory testimony, see note 3, supra, and found that the landlord’s narrative was the only credible account of the events in question. “Where there are two permissible views of the evidence, the factfinder’s choice between them cannot be clearly erroneous.” Gallagher v. Taylor, 26 Mass.App.Ct. 876, 881 (1989), quoting from Anderson v. Bessener, 470 U.S. 564, 573-574 (1985). Nowhere in G.L. c. 186, § 15B, does the Legislature refer to a tenant’s “receipt,” or his or her “receiving” security deposit funds, for purposes of defining the landlord’s corresponding duty to return the deposit to the tenant. The dictionary meaning of the verb form of “return,” with reference to an item, is “to put, … send back to [its] original place, … [or] repay.” Random House Dictionary of the English Language 1225 (unabridged ed.1973). The act of sending back the deposit to a tenant, not actual receipt, is what the Act commands a landlord to perform within the time allowed. Proof of mailing provides some certainty in this highly technical statutory context. We decline the tenant’s invitation to add to or alter the words the Legislature has chosen to employ in the Act. c. No harm. Admittedly, the landlord violated the Act by providing the tenant with an unsworn-to list of the damage to the premises, rather than one that was attested-to and signed under the penalties of perjury. The noncompliant list could not deter the tenant from asserting any legal rights under the Act. The defective list did not render the tenant any worse off than if the landlord had satisfied the Act’s documentary requirements for disclosure of waste at the end of the occupancy. Compare Hershenow v. Enterprise Rent-A-Car Co. of Boston, Inc., 445 Mass. 790, 800-801 (2006) (noncompliant terms in automobile rental contract caused no harm to customer who was no “worse off during the rental period than he or she would have been had the [contractual terms] complied in full” with governing law). The tenant was made whole; he was not forced to resort to legal process to correct wrongdoing nor was he denied his legal rights. Nonetheless, he chose to pursue an action, not only for relief in the form of treble damages, but also court costs and other fees. This was folly, for it has never been shown he suffered an “injury” or “loss of money” consistent with any accepted understanding of those terms as defined by the Supreme Judicial Court and this court. See, e.g., id. at 800-802; Casavant v. Norwegian Cruise Line Ltd., 460 Mass. 500, 503 (2011). See also Kwaak v. Pfizer, Inc., 71 Mass.App.Ct. 293, 298-301 (2008). The judgment should be vacated, and the case remanded for entry of a judgment dismissing the complaint. I would not award costs to either of the parties. FN1. At the time Taylor I was decided, the Housing Court judge had found that the landlord paid the balance in response to the complaint being filed, rather than, as the judge has now found after remand, in response to an actual demand letter. The new finding is irrelevant to the analysis in Taylor I, which was premised on the rule that “the commencement of the action itself … operate[s] as a demand.” 75 Mass.App.Ct. at 415 n. 9, quoting from Castenholz v. Caira, 21 Mass.App.Ct. 758, 764 (1986). FN2. The tenant does not challenge the method by which the judge determined under § 15B(4)(iii) the “balance [of the security deposit] to which the tenant is entitled,” and thus neither we nor the dissent express any opinion on the propriety of that method. See Taylor I, 75 Mass.App.Ct. at 417-418 (discussing possible interpretations of the statute without deciding which resulting method of determining that balance is correct). actually receives a security deposit within thirty days of moving out might have been consistent with the legislative determination that failure to timely return security deposits is a serious and deeply entrenched problem warranting the unusual sanction of multiple damages. See Mellor v. Berman, 390 Mass. 275, 282 (1983). FN6. While, in light of our conclusion about the preclusive effect of the District Court judgment we need not decide the issue, we note that the language of § 6(e ), under which treble damages are allowed for failure to return a security deposit within “thirty days after termination of the tenancy,” is not, by its terms, applicable only to tenancies under written lease agreements. FN7. The Legislature has determined that the requirements of a sworn-to list, and, unmentioned by the dissent, that a landlord also present “written evidence, such as estimates, bills, invoices or receipts, indicating the actual or estimated cost” of the repairs for which he or she claims the right to withhold a portion of the security deposit, see G.L. c. 186, § 15B(4)(iii), are an appropriate means to “ensur[e] that landlords do not make spurious and unfounded deductions for damage.” McGrath v. Mishara, 386 Mass. 74, 80 (1982). FN8. We would also independently be bound to follow Taylor I with respect to the question of dismissal both because it is the law of the case, King v. Driscoll, 424 Mass. 1, 7-8 (1996), and because it is stare decisis on the question whether the late payment of a security deposit requires dismissal of a suit like this under G.L. c. 186, § 15B(7). See Horner v. Boston Edison Co., 45 Mass.App.Ct. 139, 141 (1998) (published decisions express the opinion of the entire court and are binding upon subsequent panels). FN1. The tenant’s conversant knowledge of the Act was evident in his successful pro se prosecution of a prior appeal in Taylor v. Burke, 69 Mass.App.Ct. 77 (2007), involving the intricacies of the Act’s custodial requirements for a security deposit. The tenant had there sued a different landlord, again seeking treble damages under the Act. FN2. I reach this result with some chagrin given our prior opinion in Taylor I, supra. The full court in Taylor I, however, did not have the benefit of the detailed findings of fact issued by the Housing Court judge, who heard the case anew on remand from this court. Only with the benefit of the factual findings can the rather dim pleadings, especially the tenant’s complaint, be adjudged for what they are: a misguided prosecutorial effort by a residential tenant to seek damages in an instance where none were warranted. See generally Ward, Massachusetts Landlord-Tenant Practice: Law and Forms §§ 7(a) & 9(e) (2011). FN3. On this point, the landlord had so testified and had introduced photographic evidence. The Housing Court judge credited the landlord’s version of the events, and found the tenant’s contrary account not credible. previously existing common law.” The same is true here as the landlord acted in reliance with Castenholz, the then-existing controlling precedent under the Act. See generally G. Emil Ward, Massachusetts Landlord-Tenant Practice: Laws and Forms §§ 7(a), 9(e). FN5. The “last months rent” reference appears to be a misnomer because no such item was ever held back by the landlord or otherwise sought by the tenant. “A security deposit is not rent.” Mellor v. Berman, 390 Mass. at 280 n. 10. A landlord may deduct from the deposit any unpaid rent that has not been lawfully withheld by the tenant, see G.L. c. 186, § 15B(4), in winding up the tenancy. Mellor v. Berman, supra. FN6. Initially, the judge deducted $45.83, reasoning that the landlord was entitled to rent for the tenant’s holdover use and occupancy. The tenant filed a motion for reconsideration, and the judge deemed such a deduction inappropriate in the circumstances, since the unpaid use and occupancy rent issue had apparently been decided in a separate proceeding in the small claims session of the District Court. Proof of any such findings or order by the District Court has not found its way into the record on appeal. Assertions as to some form of claim preclusion or res judicata thus cannot be sustained. FN7. “To prevail on appeal on the basis of an assault on a judge’s factual findings is no easy matter, for we accept the judge’s findings of fact as true unless they are ‘clearly erroneous.’ ” Millennium Equity Holdings, LLC v. Mahlowitz, 456 Mass. 627, 636 (2010), quoting from Kendall v. Selvaggio, 413 Mass. 619, 620 (1992). FN8. See Mass.R.A.P. 18(a), as amended, 425 Mass. 1602 (1997). The tenant has appeared pro se at all times, as far as we can glean from the record. “The right of self-representation is not ‘a license not to comply with relevant rules of procedural and substantive law.’ ” International Fid. Ins. Co. v. Wilson, 387 Mass. 841, 847 (1983), quoting from Faretta v. California, 422 U.S. 806, 834-835 n. 46 (1975). FN9. Compare Taylor I, where this court was obliged, for purposes of reviewing the challenged judgment of dismissal, to accept the factual allegations as true. On remand, the trial judge heard and received evidence offered by the parties, and issued detailed factual findings, which I have summarized above. Based on those factual findings, not shown in this appeal to be clearly erroneous, the tenant cannot prove as matter of law a violation of the Act upon which relief can be granted. FN10. I interpret the words of the Act consistent with “their literal meaning and the purpose and history of the statute within which they appear.” Atlanticare Med. Center v. Commissioner of the Div. of Med. Assistance, 439 Mass. 1, 6 (2003), quoting from Massachusetts Hosp. Assn. v. Department of Med. Sec., 412 Mass. 340, 345-346 (1992). The text “is neither peculiar nor technical, but is comprised rather of familiar words,” employed to address the well-known security deposit problems. Jason v. Jacobson, 387 Mass. 21, 24 (1982), quoting from New England Med. Center Hosp., Inc. v. Commissioner of Rev., 381 Mass. 748, 750 (1980). FN11. In any event, it would seem that logic dictates that the landlord should be given a reasonable time to ascertain whether there has been any damage to the premises so that he may determine the costs needed for repair. damages. See Casavant v. Norwegian Cruise Line Ltd., 460 Mass. 500, 505- 507 (2011). FN13. This is not technically a dismissal on the pleadings, but akin to a directed verdict on the evidence, since the tenant has not sustained his burden of proving a claim for relief under the Act. Judge Dina Fein, follow the law please!